Go to order settings, backorders, include or extra tax, tax on discounted price, to invoice label, order numbering, order tagging. In order settings, you can configure backorders, order numbering format, taxes, discounts etc. Go to Settings → Orders to open the settings. Backorder OFF will not allow you to create order in Orderhive with the product having less stock than you are ordering. Note : Keeping backorders ON can make your stock negative. It is an option to keep the tax as extra or include in line items on order. Keeping it ON will include tax in your line item rate while creating order. Keeping it OFF will add a tax on your line item. You get the ability to change this option per order too. So you can set, what you use maximum for your business and products. It is an option to calculate discount after tax is calculated or before tax is calculated. Keeping it ON will calculate tax on after discount in deducted from line item rate. Keeping it OFF will calculate tax on the rate before the discount is applied. Keeping it ON will help you to see the ‘To Invoice’ Label for the Non-invoiced Orders. Please find the screenshot for further reference. You can customize order number for orders created in Orderhive by adding prefix and suffix to it. 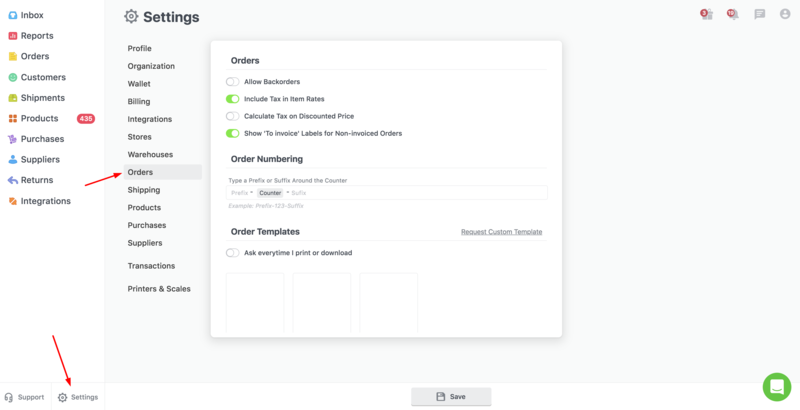 Orderhive doesn't allow modifying the entire Order Number, however, you can add a prefix and suffix and create your custom format. 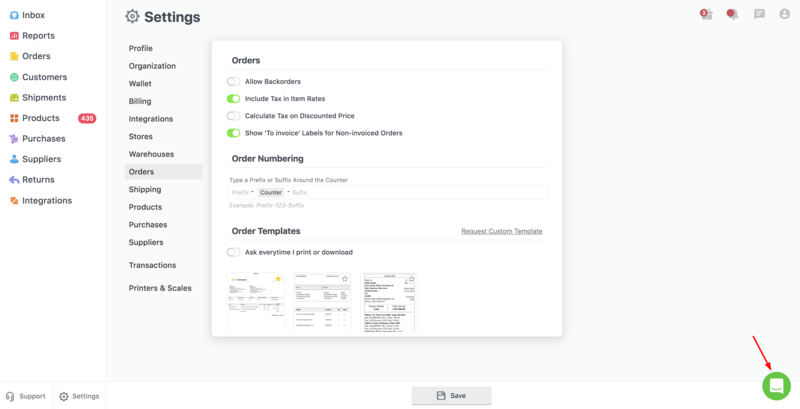 You can save prefix and suffix for sales orders, purchase orders, and invoices separately. Note: It will be applicable to new order if you set up this after creating few orders. This change will not affect or change the order number in past orders. Order template is format for printing or downloading order PDF from Orderhive. We have 3 standard formats from which you can suitable for your business. You can even request for a custom template to enhance your branding. It is list of tags which you have applied to orders. You can manage tags here. You can edit the name of tag. It will change on all orders too.